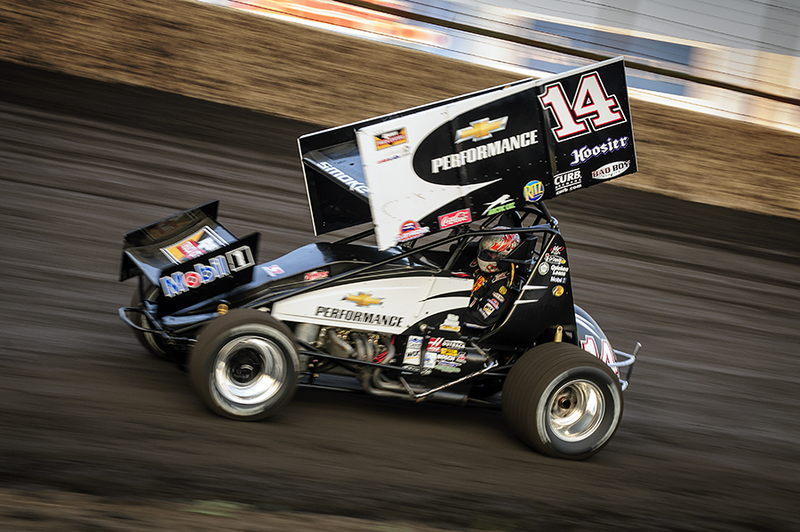 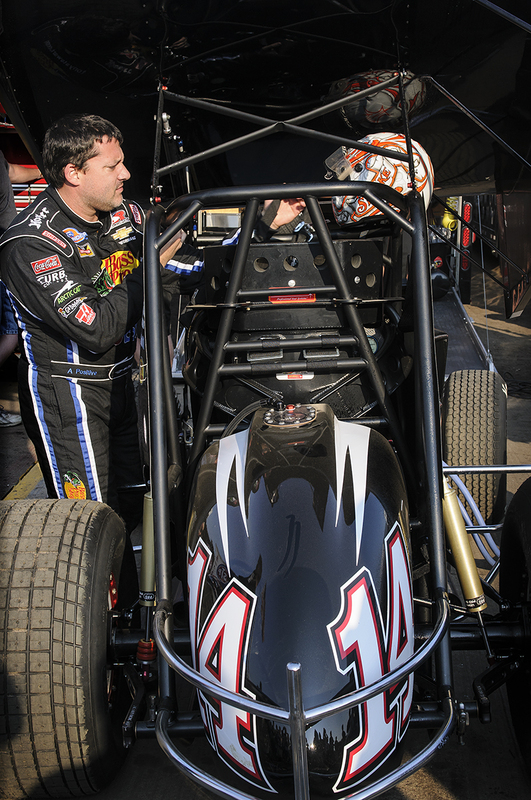 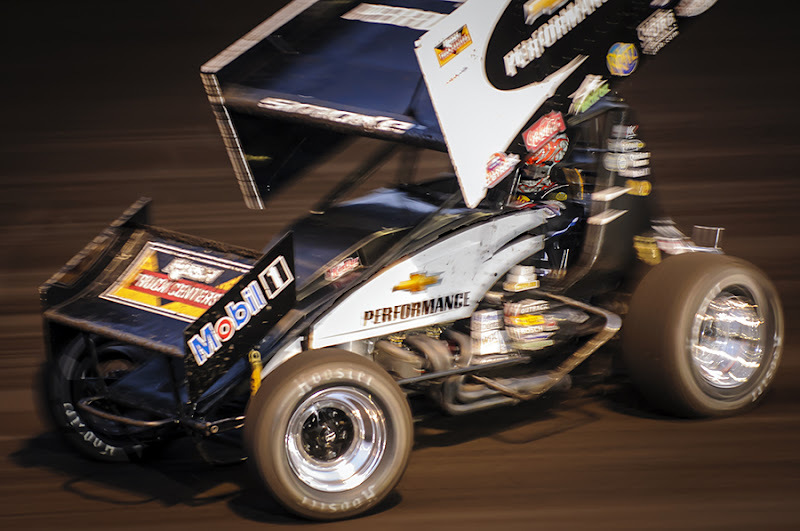 The largest crowd in the 59-year history of Huset's Speedway in Brandon, South Dakota packed in to see racing superstar Tony Stewart compete with the World of Outlaws winged sprint cars on July 3, 2013. 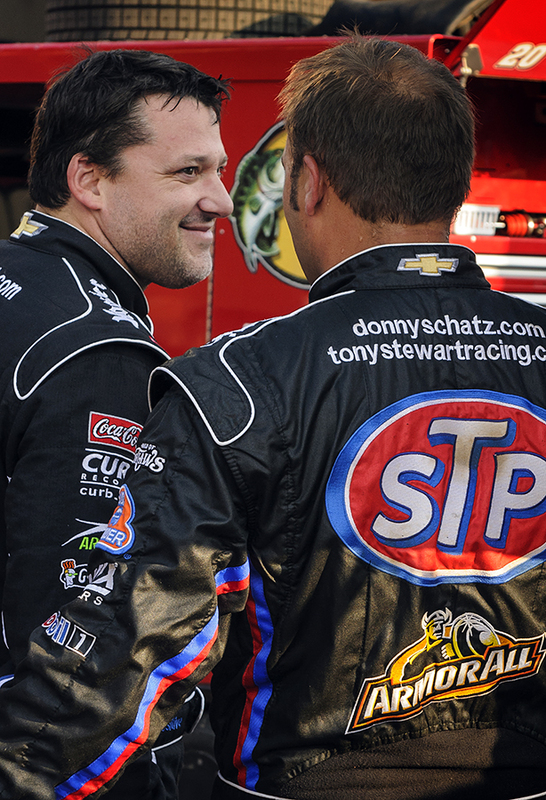 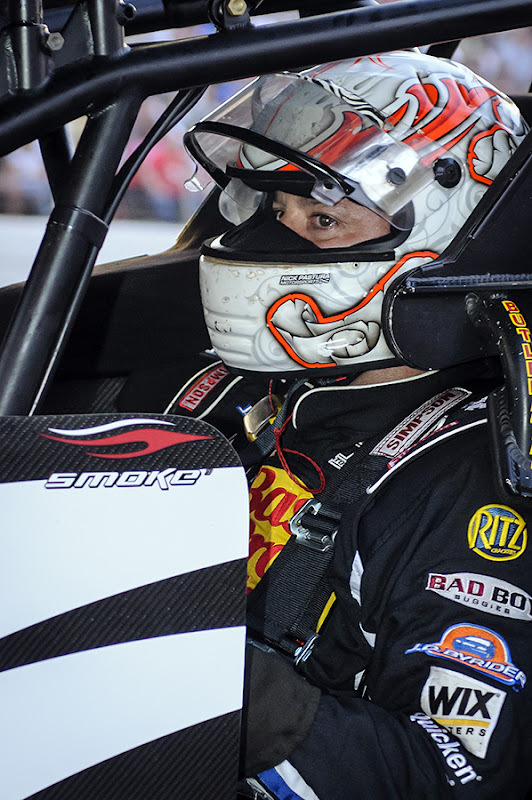 It was Stewart's first time in South Dakota and the three-time Nascar champion, Indy Racing League Champion, USAC triple crown champion and IROC champion showed why he is considered one of the best drivers in the world. 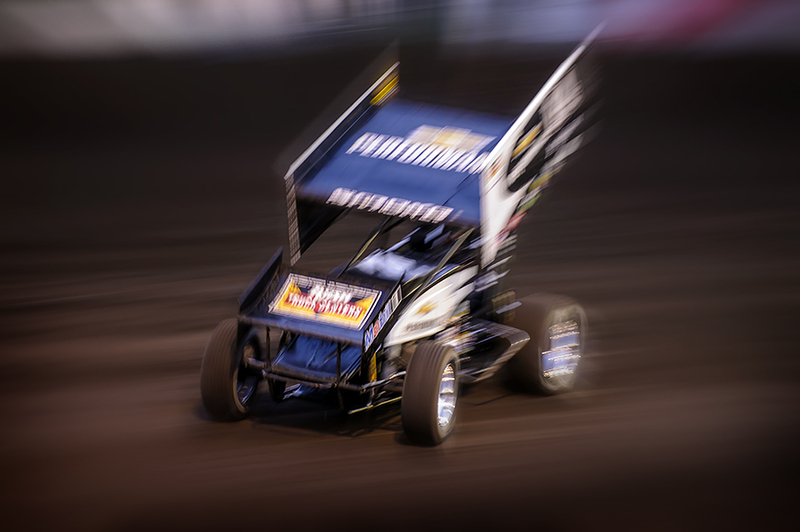 With only five laps of practice at Huset's he set the second quickest time in qualifying and was on his way to winning the feature race of the night when a lapped car in front of him caused him to spin out with five laps to go. 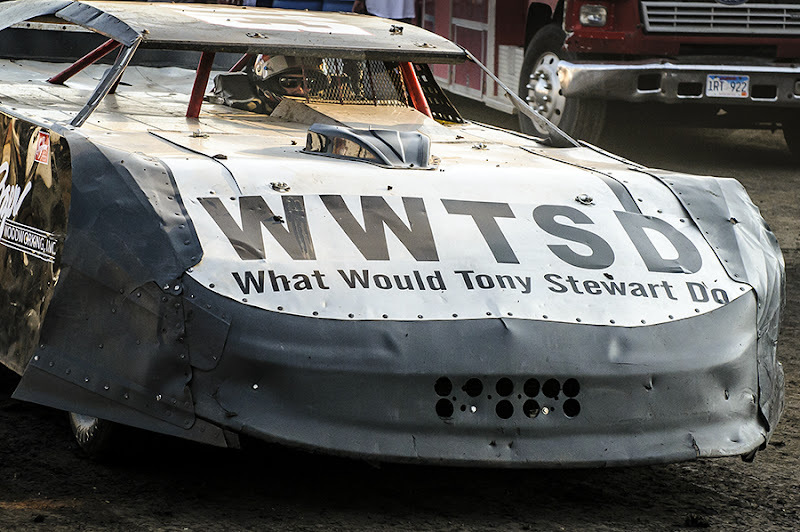 One of the late model street stock drivers got into the spirit of Stewart's visit with a message to other drivers on his car. 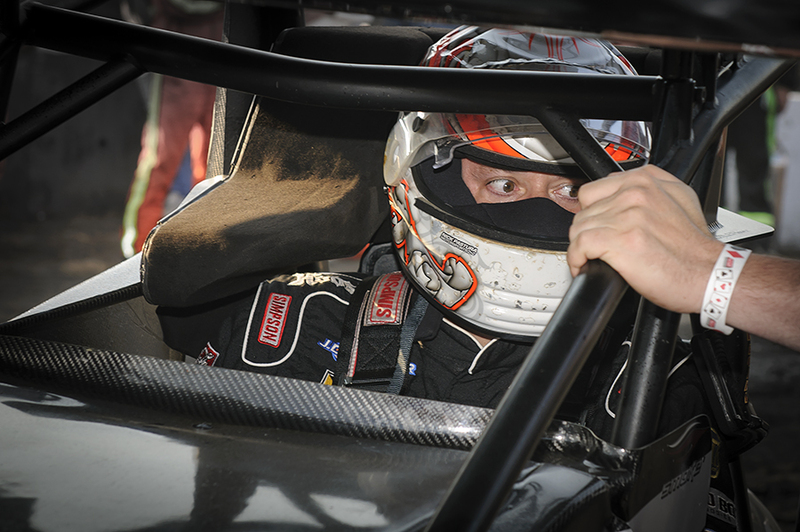 For more photos of the Huset's Speedway action that night, click here.